View of our hotel from the square right in front. Gorgeous, no? 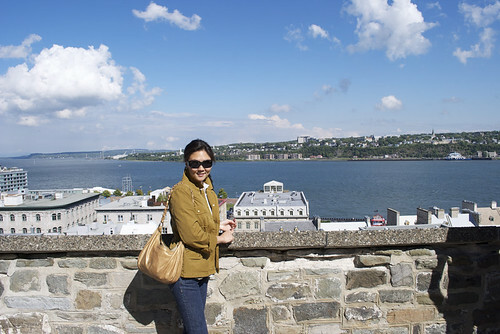 I am back and so sad to have left Quebec City. The trip was exactly what I had hoped for - relaxing and romantic. 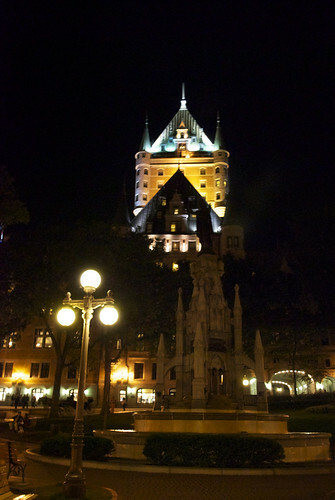 It's really one of the most romantic places I've ever been to and pretty much somewhere I would want to live. Well, just during the summer cause honestly I don't think I could handle their winters, I can barely handle Maryland winters! There's live music all day every day from street musicians playing music that pretty much sounds like they took it from my playlist - French inspired songs. From the language to the food to the architecture, we really felt like we were in a European city, not somewhere in North America. It's a great city to vacation at but I should warn you, this is not a city for the singles crowd, it's more for couples and families. At least that's what we saw during our stay. 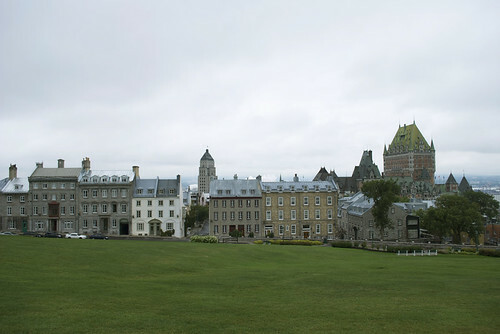 One thing that we noticed (and that we loved) was that there seems to be a late-to-rise early-to-bed culture there and whether it's a French thing or a Quebec City thing, it was exactly the kind of schedule we needed to really relax. Walking was a great way to explore the city except for the one time my feet were killing me (not a good idea to re-break in fall flats on a hiking trip) which required the immediate care of a taxi cab to take us back to the hotel. 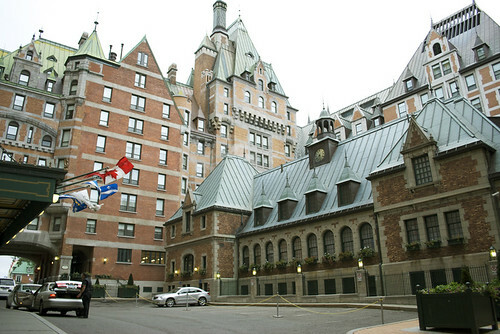 Staying at Le Château Frontenac was like staying at the Ritz. Not that I've ever stayed at the Ritz but it felt very glamorous which is what I imagine staying at the Ritz is like. The hotel really is one of the main sites to see when you go there and I would highly recommend staying there if you can. Oh, and it's dog-friendly which gets extra brownie points in my book. 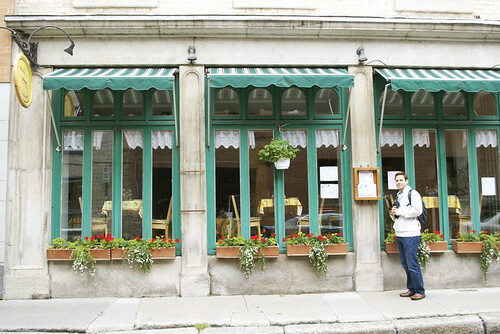 I won't keep talking about the places we went to since the photos speak for themselves. 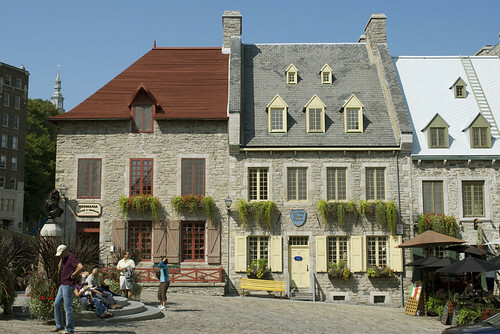 But I will simply say that this is a lovely city filled with great architecture, delicious French food, and romantic music. The perfect romantic getaway. The view of Upper Town from one of our windows. 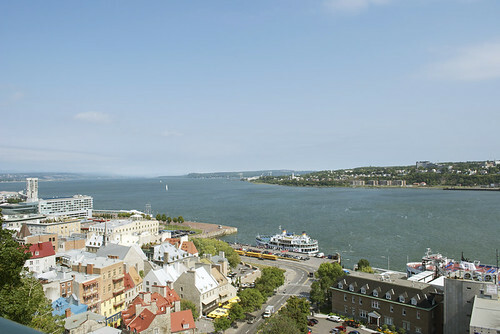 How great is this view of the St. Lawrence River?? 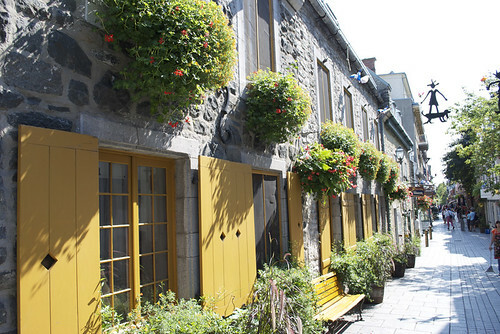 Beautiful Lower Town with the St. Lawrence River in the background. 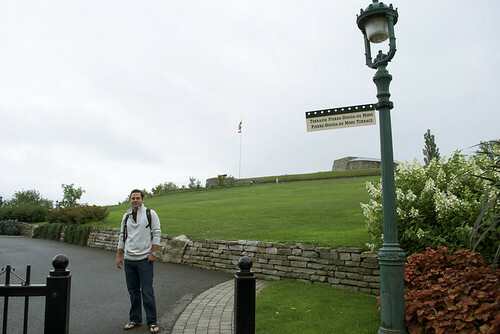 The day I decide to wear poor walking shoes is the day we walk to La Citadelle, tsk tsk to me. Stopped for a photo op at the Parc de l'Esplanade on our way to La Citadelle. 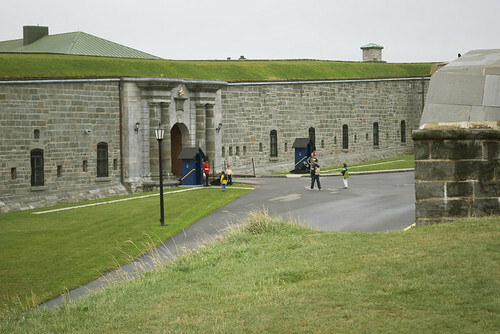 The Guards at La Citadelle. 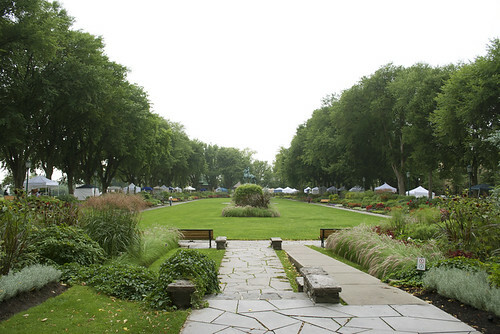 We came across this lovely garden on the way to the museum. 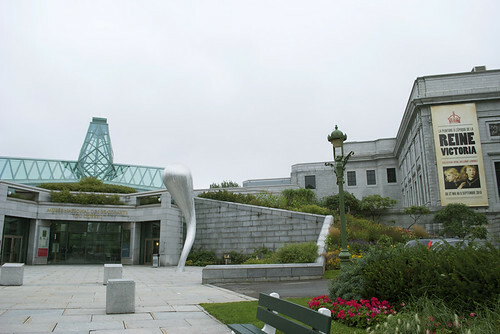 The Musée National des Beaux-Arts du Québec - LOVED the exhibit!